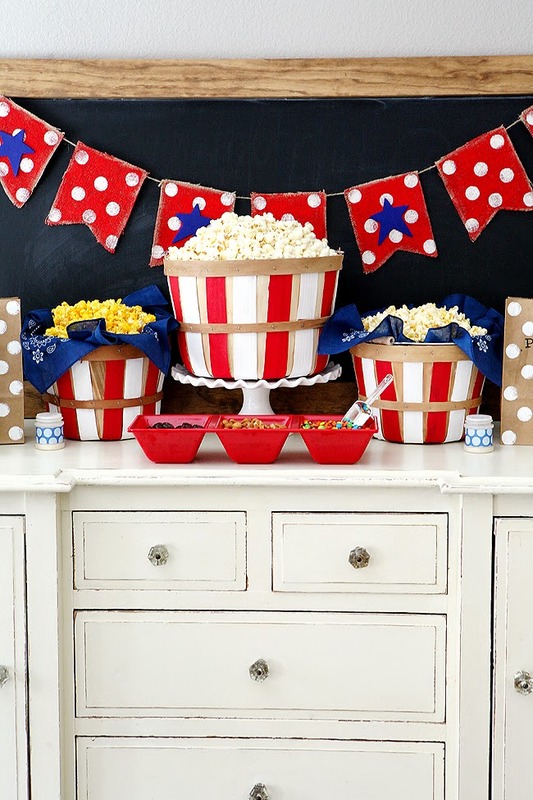 For our first Michaels Makers project we put together this fun 4th of July Popcorn Bar! Our kids are going to FLIP when they see it at our BBQ on the 4th. I just love everything Red, White and Blue. Don’t you? 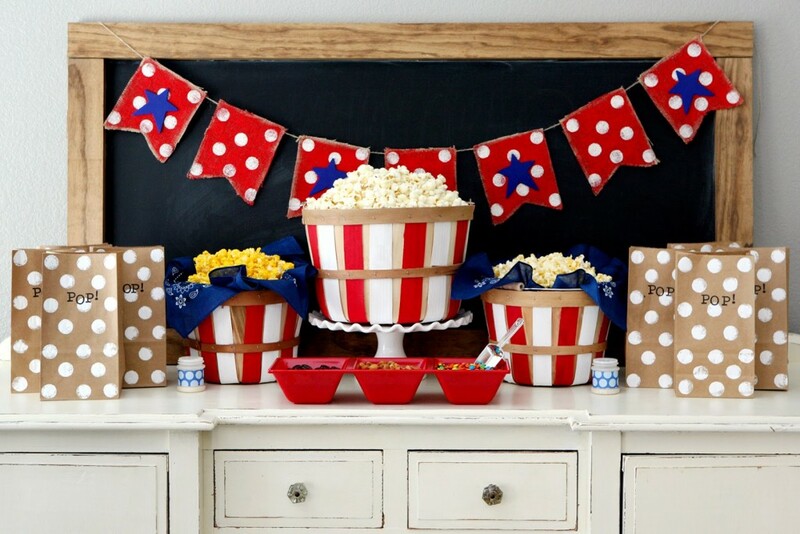 While we were looking through the project ideas at Michaels.com we came across a couple projects we knew would be just perfect for our Popcorn Bar. 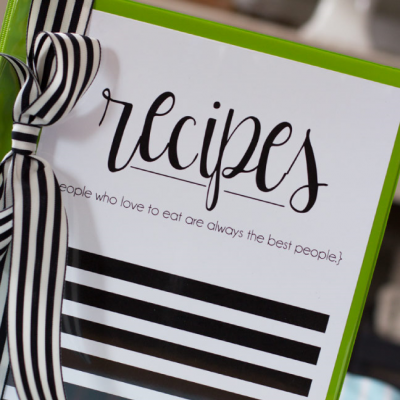 We even took advantage of the one-click shopping lists which made placing our order a breeze! Just one click of the mouse and everything we needed for the project was placed in our shopping cart! Easy Peasy! 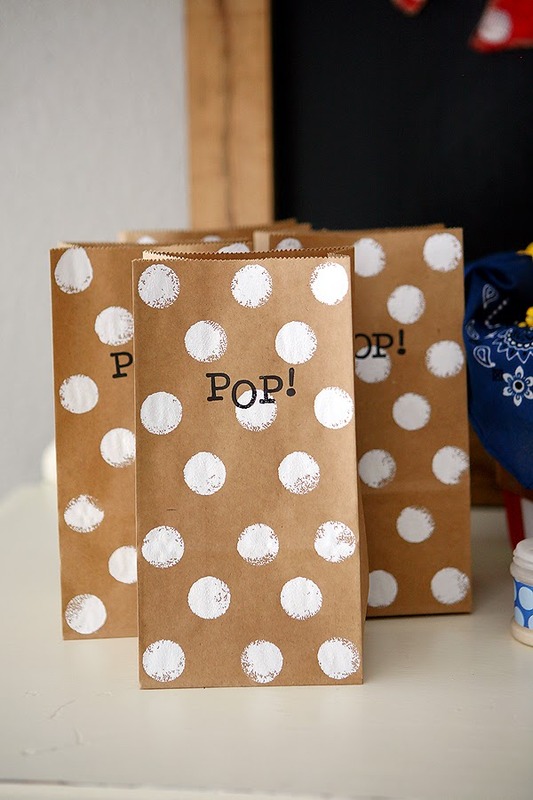 These Rubber Stamped Bags were so fun to make… and yes… I think we may be a bit addicted to polka dots right now. • Celebrate It Paper Sack, 3 Lb. 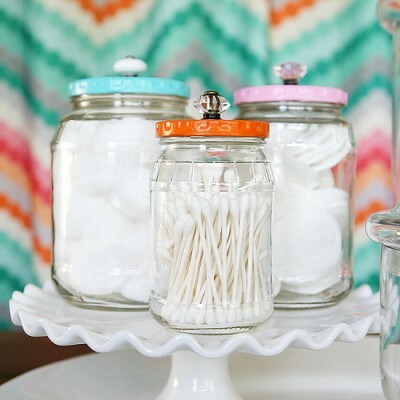 So easy and fun to make!! The Painted Bushel Baskets are the star of the show! We can’t wait to paint some of these up in different colors for Birthday Parties and other Celebrations! • Paint the vertical panels on the bushel baskets, alternating with red and white. Let dry. 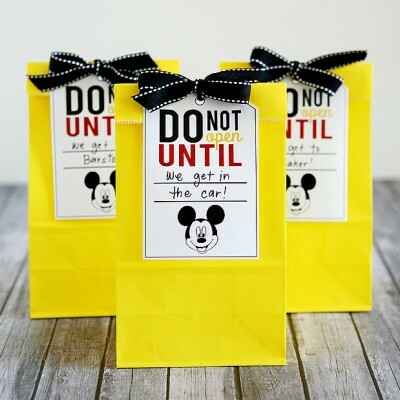 • Line the 2 smaller baskets with bandanas and fill all 3 baskets with popcorn. We used plain popcorn, cheddar popcorn and kettle corn. We also added some Ranch and Cheddar Popcorn Seasonings and yummy mix-ins to our bar…. Junior Mints, peanuts and mini M&Ms. Oh yeah! (You can get the directions for the Red, White & Blue Banner HERE. 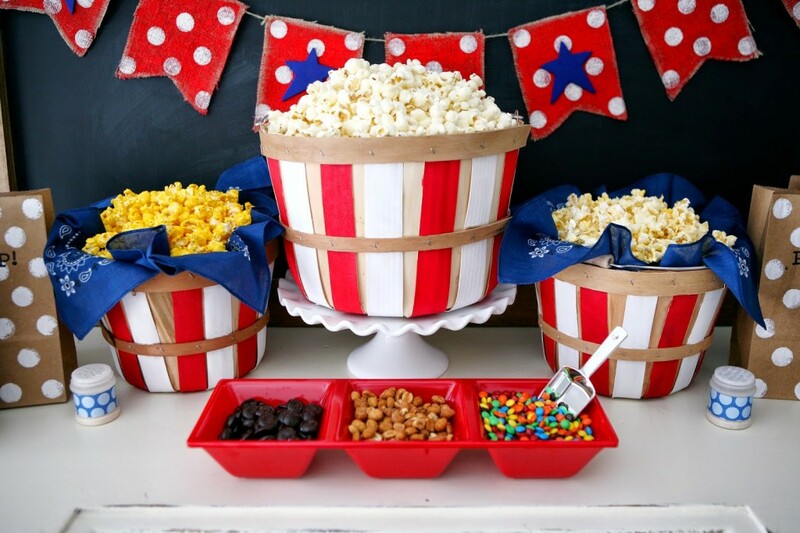 )Hope we’ve inspired you to put together a Popcorn Bar at your next party! 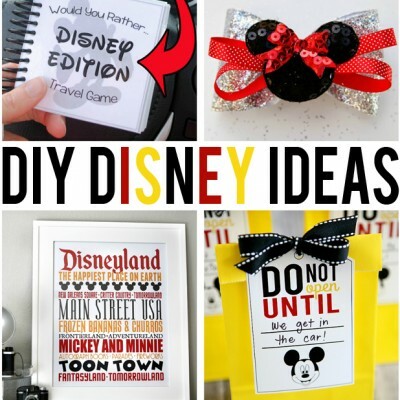 Really cute and great idea! Love a good popcorn bar. Congratulations on being a part of Michael's Makers!! I love this so much, friends! 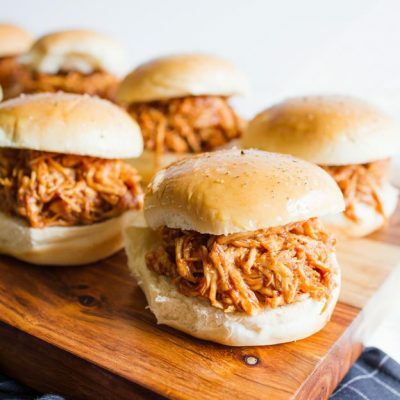 I wanna come to your july 4th BBQ!! What a fun gig to work with Michael's, too, you gals deserve it! The baskets are super cute!! Love the banner too!! 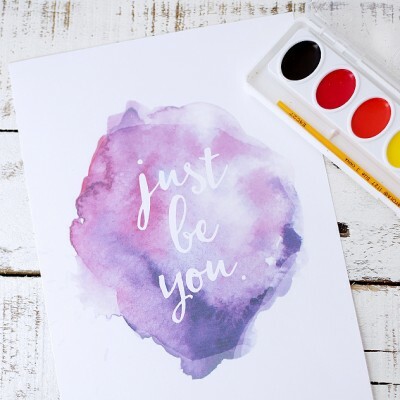 How fun to work with Michael's…such an awesome craft store!! SO, SO, SO cute – love it, girls! Really cute. Would 'bingo markers' work to make the polka dots? That way kids could help with the decorating too. Could even use red and blue colored ones. I bet that would work great. And it would be a lot of fun for the kids to do! !